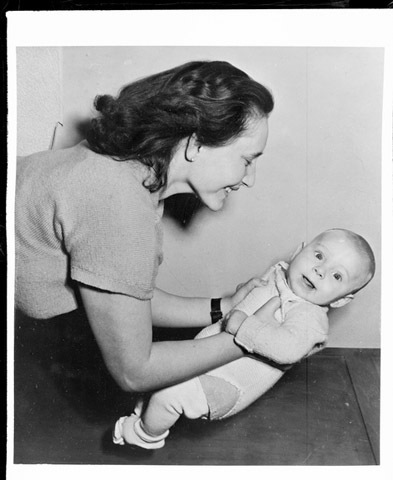 JDC - Archives : A mother and a child at the Hotel Mirabeau, a JDC transient center in Paris. Title A mother and a child at the Hotel Mirabeau, a JDC transient center in Paris. Description A mother and a child living in the Hotel Mirabeau, a JDC transient center in Paris for refugees waiting for immigration opportunities.